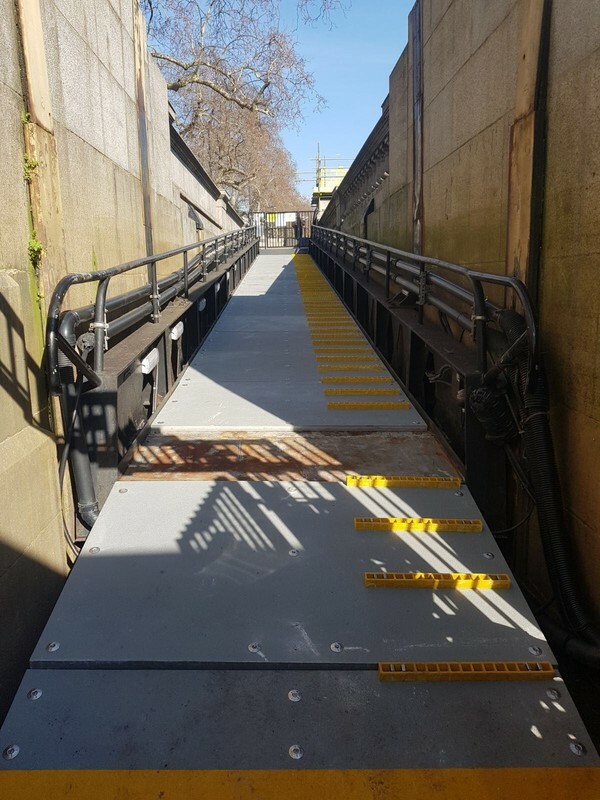 Apex Build (Anglia)Ltd. approached Decksafe to design, manufacture and install a new anti-slip surface to the access ramp at Tower Lifeboat Station situated on the river Thames in central London. The team came up with a cost - effective design for the new ramp surface utilising our solid top GRP grating. However, the location and age of the steel structure created several challenges during installation which with close liason between the client, we managed to successfully overcome. 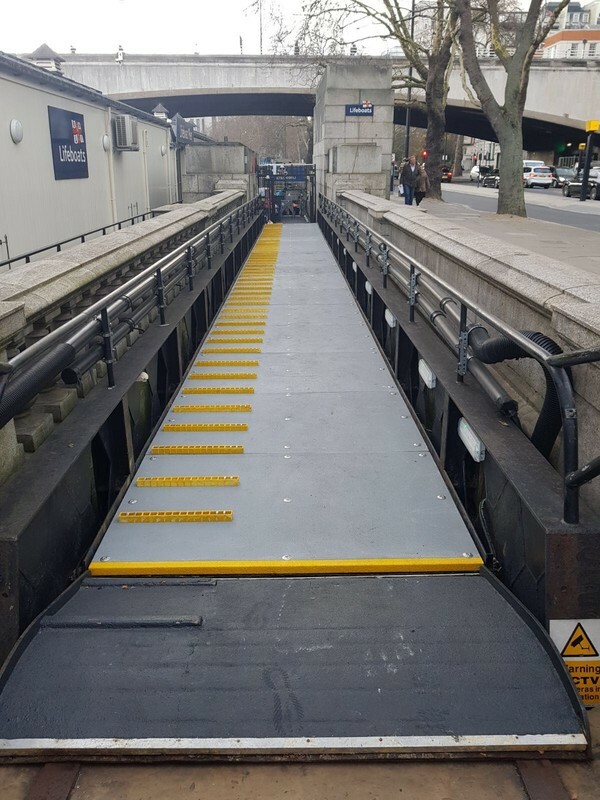 As a result, the RNLI now have a brand new, non - slip ramp that can be safely used.